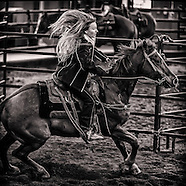 Photographs from the final event of the Big Sky Sorting's Ranch Sorting Saddle Series held at the Heart K Land & Cattle Company's arena in Livingston, Montana. Photographs created during the three day RSNC-sanctioned Big Sky Ranch Sorting event at the Heart K Land and Cattle Company over the Fourth of July Holiday Weekend. The event was the second of three ranch sorting events produced by the Big Sky Ranch Sorting Club scheduled for this summer in its inaugural Saddle Series. An RSNC-sanctioned Big Sky Ranch Sorting Club event held at the Heart K Land and Cattle Company near Livingston, MT in early May. This was the first of three Big Sky Ranch Sorting Club-producted ranch sorting events to be held this summer in its inaugural RSNC Big Sky Ranch Sorting Saddle Series.